The Nauticat 33 was the design which propelled Nauticat into mass production boat building. Proving to be immensely popular around the world the model had a production run spanning almost 20 years before making way for the new Nauticat 331. Offering a huge amount of living space for a vessel of just 10 meters in length the design found favour with cruisers and liveaboards alike. Relatively modern Yanmar 4JH2-DTE 88hp marine diesel engine. Full deck replacement with synthetic teak decking and capping rail. Recent upholstery replacement throughout the accommodation space. New gas system installed and galley stove service, current test certificate aboard. 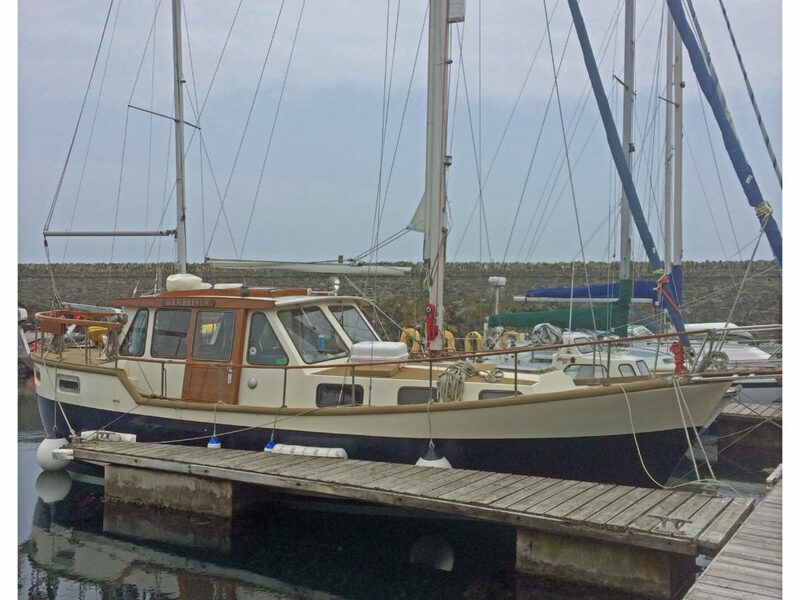 With the current owner for just a season, she is reluctantly for sale due to ill health. With many of the common trouble spots found on the Nauticat 33 already resolved. She offers a brilliant opportunity to acquire a ready to sail example ahead of this coming season. Lying in Northern Ireland, afloat in a marina berth. ABYA yacht broker providing professional brokerage services for cruising yachts, motoryachts and small commercial vessels. Brokering yachts in locations around Scotland and in association with trusted partners throughout the UK and Europe. All yachts for sale subject to prior sale, price change, or withdrawal without notice. Mark Cameron Yachts is a trading name of M. Cameron Marine Services Ltd. Reg No. SC594593 Reg. Office - The Braes, Inverneill, Ardrishaig, Argyll. VAT No. 296 3255 73.